… she was 81 when she passed away. Peggy Lee was born Norma Deloris Egstrom in Jamestown, North Dakota. 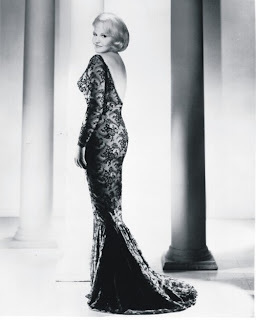 This popular jazz and popular music singer, songwriter, composer, and actress went on to enjoy a career spanning six decades. From her start as a vocalist on local radio to singing with Benny Goodman's big band, she evolved into a multi-faceted artist and performer. She wrote music for films, acted, and created conceptual record albums—encompassing poetry, jazz, chamber pop, and art songs. She first sang professionally over KOVC radio in Valley City, North Dakota. She later had her own series on a radio show sponsored by a local restaurant that paid her a "salary" in food. 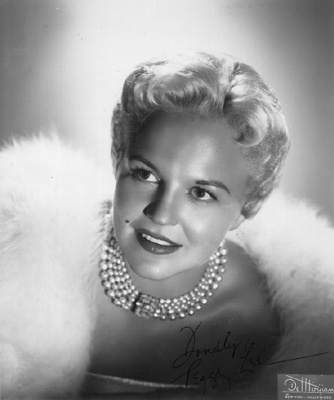 Radio personality Ken Kennedy of WDAY in Fargo, North Dakota changed her name from Norma to Peggy Lee. Seeking bigger and better opportunities, Lee left home and traveled to Los Angeles at the age of 17. 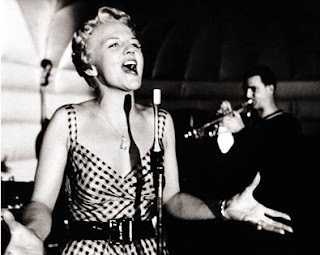 She later made her way to Chicago for a gig at The Buttery Room, a nightclub in the Ambassador Hotel East, where she was noticed by bandleader Benny Goodman who was looking for a replacement for Helen Forrest. She joined his band in 1941 and stayed for two years. In 1942 Lee had her first #1 hit, "Somebody Else Is Taking My Place,” followed by 1943's "Why Don't You Do Right?" which sold over a million copies. She sang with Goodman's orchestra in two 1943 films, Stage Door Canteen and The Powers Girl. In March 1943 Lee married Dave Barbour, a guitarist in Goodman's band. Goodman fired Barbour, causing Lee to quit. When Lee and Barbour left the band, they planned for him to work in the studios and she would raise their daughter, Nicki. 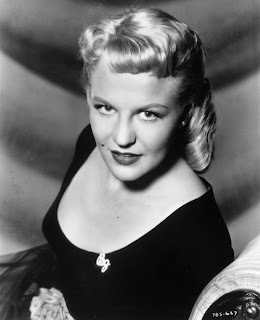 Lee drifted back to songwriting and occasional recording sessions for the fledgling Capitol Records in 1947, for whom she produced a long string of hits, including "I Don't Know Enough About You," "It's a Good Day" and the #1-selling record of 1947, "Mañana. In 1948 Lee joined Perry Como and Jo Stafford as a rotating host of the NBC Radio musical program Chesterfield Supper Club. She was also a regular on NBC's Jimmy Durante Show. For Decca Records, in 1956 she recorded one of her most acclaimed albums, Black Coffee. 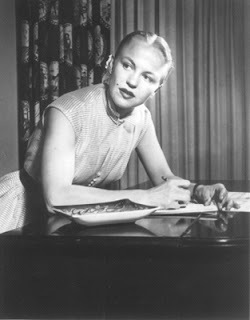 While recording for Decca, Lee had hit singles with the songs "Lover" and "Mister Wonderful." Lee is today internationally recognized for her signature song "Fever.” She had a string of successful albums and top 10 hits in three consecutive decades. She is regarded as one of the most influential jazz vocalists of all time. From 1957 until 1972, she produced a steady stream of two or three albums per year which usually included standards (often arranged quite different from the original), her own compositions, and material from young artists. Never afraid to fight for what she believed in, Lee passionately insisted that musicians be equitably compensated for their work. Lee often quoted Ralph Waldo Emerson on the topic: "God will not have his work be made manifest by cowards." Lee was also an accomplished actress. Lee starred and sang in the hit films The Jazz Singer and Pete Kelly's Blues, for which she received an Academy Award nomination for Best Supporting Actress. In 1955 Lee did the speaking and singing voices for several characters in Disney's Lady and the Tramp movie: she played the human "Darling" (in the first part of the movie), the dog "Peg,” and the two Siamese cats "Si" and "Am.” In 1957 Lee guest starred on the short-lived ABC variety program, The Guy Mitchell Show. In her 60-year-long career, Peggy Lee was nominated for 12 Grammy Awards, and was awarded three including the Lifetime Achievement Award, an Academy Award nomination, The American Society of Composers, Authors and Publishers (ASCAP) Award; the President's Award, the Ella Award for Lifetime Achievement, and the Living Legacy Award from the Women's International Center. In 1999 Lee was inducted into the Songwriters Hall of Fame. Lee continued to perform into the 1990s, sometimes in a wheelchair. After years of poor health, Lee died of complications from diabetes and a heart attack at age 81. ... he was 65 years-old when he passed away. 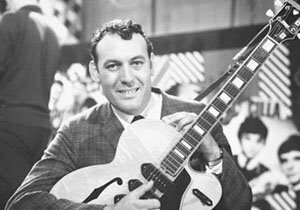 Called "the King of Rockabilly," Carl Perkins has been inducted into the Rock and Roll, the Rockabilly, and the Nashville Songwriters Halls of Fame. he is also a Grammy Hall of Fame Award recipient. His best known song of course, is "Blue Suede Shoes." Perkins was the son of poor sharecroppers near Tiptonville, Tennessee. He grew up hearing Southern gospel music sung in church, and by field workers when he worked in the cotton fields at age six. During spring and autumn, the school day would be followed by several hours of work in fields. During the summer, workdays were 12–14 hours, "from can to can't." Carl and his brother Jay together would earn 50 cents a day. With all family members working and not having any credit, there was enough money for beans and potatoes, some tobacco for Carl's father Buck, and occasionally the luxury of a five-cent bag of hard candy. During Saturday nights Carl would listen to the radio with his father and hear the Grand Ole Opry, and Roy Acuff's broadcasts on the Opry inspired him to ask his parents for a guitar. Carl's father fashioned one from a cigar box and a broomstick. When a neighbor in tough straits offered to sell his dented and scratched Gene Autry model guitar with worn-out strings, Buck purchased it for a couple of dollars. For the next year Carl taught himself parts of Acuff's "Great Speckled Bird" and "The Wabash Cannonball," which he had heard on the Opry. He also cited the fast playing and vocals of Bill Monroe as an early influence. Carl began learning more about playing his guitar from a fellow field worker named John Westbrook who befriended him. "Uncle John," as Carl called him, was an African American in his sixties who played blues and gospel on his battered acoustic guitar. Because Carl couldn't afford new strings when they broke, he retied them. When he was 14, using the simple chord progression common to country songs of the day, he wrote "Let Me Take You To the Movie, Magg" The song convinced Sam Phillips to sign Perkins to his Sun Records label. Perkins and his brother Jay had their first paying job as entertainers at the "Cotton Boll" tavern. As their popularity grew, the Perkins Brothers began playing other taverns. Carl persuaded his brother Clayton to play the bass fiddle to complete the sound of the band. 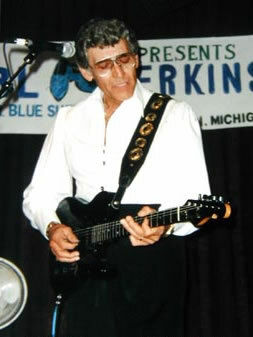 Perkins began performing regularly on WTJS-AM in Jackson during the late 1940s as a sometime member of the Tennessee Ramblers. Perkins successfully auditioned for Sam Phillips at Sun Records during early October 1954, and "Movie Magg" and "Turn Around" were released on the Phillips-owned Flip label the following March with "Turn Around" becoming a regional success. With the song getting airplay across the South and Southwest, Perkins was booked to appear along with Elvis Presley at theaters in Marianna and West Memphis, Arkansas. Another Perkins' tune, "Gone Gone Gone," released in October 1955 by Sun, was also a regional success. It was backed by the more traditional "Let The Juke Box Keep On Playing," complete with fiddle, "Western Boogie" bass line, steel guitar and weepy vocal. That same autumn, Perkins wrote "Blue Suede Shoes" after seeing a dancer in a tavern get angry with his date for scuffing up his blue suede shoes. 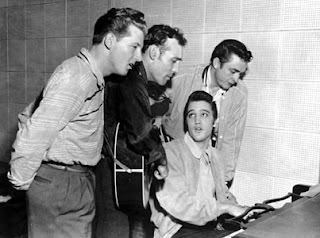 Several weeks later, on December 19, 1955, Perkins and his band recorded the song during a session at Sun Studio in Memphis. 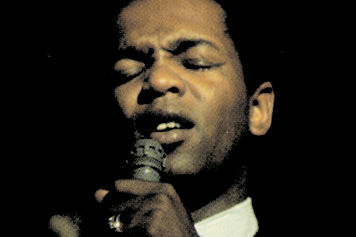 Phillips suggested changes to the lyrics ("Go, cat, go") and the band changed the end of the song to a "boogie vamp." Released on January 1, 1956, "Blue Suede Shoes" was a massive chart success. In the United States, it scored No. 1 on Billboard magazine's country music charts - his only song to reach No. 1 - and No. 2 on Billboard's Best Sellers popular music chart. On March 17, Perkins became the first country artist to score No. 3 on the rhythm & blues charts. 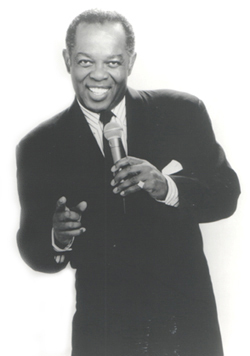 During 1958, Perkins moved to Columbia Records where he recorded songs such as "Jive After Five," "Rockin' Record Hop," "Levi Jacket (And a Long Tail Shirt)," "Pop, Let Me Have the Car," "Pink Pedal Pushers," "Anyway the Wind Blows," "Hambone," "Pointed Toe Shoes," and "Sister Twister." 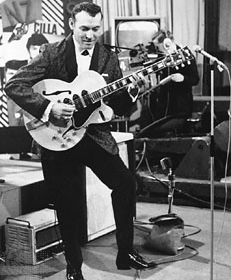 During May 1964, Perkins toured England along with Chuck Berry. On the last night of the tour, Perkins attended a party that turned out to be for him, and ended up sitting on the floor sharing stories, playing guitar, and singing songs while surrounded by The Beatles. Ringo Starr asked if he could record "Honey Don't." "Man," answered Perkins, "go ahead, have at it." The Beatles ended up recording "Matchbox," "Honey Don't" and "Everybody's Trying to Be My Baby" recorded by Perkins but adapted from a song originally recorded by Rex Griffin during 1936. After a long legal struggle with Sam Phillips over royalties, Perkins gained ownership of his songs during the 1970s. In 1981, Perkins recorded the song "Get It" with Paul McCartney, providing vocals and playing guitar with the former Beatle. This recording was included on the chart-topping album Tug Of War released in 1982. Perkins' last album, Go Cat Go!, was released during 1996, and featured new collaborations with many artists, including George Harrison, Paul Simon, John Fogerty, Tom Petty, and Bono. It was released by the independent label Dinosaur Records. His last major concert performance was the Music for Montserrat all-star charity concert at London's Royal Albert Hall on September 15, 1997. Perkins died four months later, on January 19, 1998 at the age of 65 in Jackson, Tennessee from throat cancer after suffering several strokes. During 2004, Rolling Stone ranked Perkins number 69 on its list of the 100 Greatest Artists of All Time. ... he was 68-years-old when he died from a massive stroke or brain aneurysm. 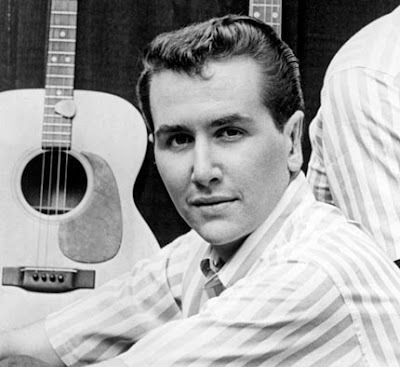 John Stewart, from San Diego, California is known for his contributions to the American folk music movement of the 1960s while with The Kingston Trio (1961–1967) and as the songwriter of The Monkees' #1 hit Daydream Believer and his own #5 hit "Gold", among several hundred original songs composed over a career of more than forty years. Stewart's first venture into popular music was with a high school garage band known as "Johnny Stewart and the Furies." Influenced by the reigning icons of the day, Elvis Presley and Buddy Holly, the Furies toured southern California colleges and coffee houses. 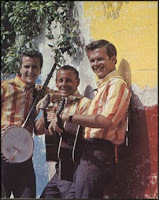 The Kingston Trio had emerged from the San Francisco folk music culture in 1957, using a mixture of calypso, pop, and folk styles, along with several forms of comedy, in their act. 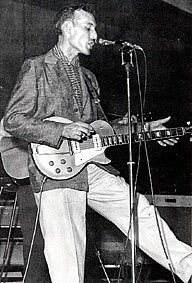 When founding member Dave Guard departed the group in 1961 to explore other musical directions. Stewart was selected by the remaining members Nick Reynolds and Bob Shane as Guard's successor. The new Kingston Trip lineup recorded a dozen albums together, taking the music of the Trio into new directions, including more original material. The pop-folk era began to wane and in 1967 the members of the Kingston Trio decided to disband. Stewart continued to write songs and record while touring as a solo act. It was during this time that he composed the hit "Daydream Believer" for The Monkees. Several of his songs were recorded by a number of popular acts, including Nanci Griffith, Rosanne Cash, Mary Chapin Carpenter, Joan Baez. He also continued to record new material, producing CDs on his own "Neon Dreams" label in between commercial releases. Over his last years, Stewart teamed up with former Kingston Trio member, the late Nick Reynolds, to offer fans the ultimate Trio Fantasy: performing for and with Stewart and Reynolds. In 2005 and 2006 Bob Shane attended and performed a few songs with Stewart and Reynolds at the Trio Fantasy Camp, which is held annually in Scottsdale, Arizona. ... he was 52 years-old when he died. Known simply as "Nilsson" on all but his earliest recordings, he won Grammys for two of his recordings; best male contemporary vocal in 1969 for "Everybody's Talkin'," the theme song to the Academy Award-winning movie Midnight Cowboy, and best male pop vocal in 1972 for "Without You." Nilsson was born in the Bushwick section of Brooklyn, New York. Nilsson had to work at an early age. With an aptitude for computers (despite only completing ninth grade), he worked on bank computers at night, and in the daytime pursued his songwriting and singing career. 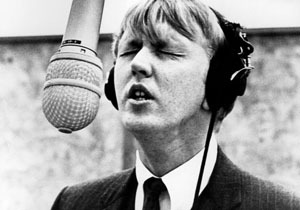 In the late 1950s, Nilsson was drawn to pop music. A friend gave Nilsson a plastic ukulele, which he learned to play, and later learned to play the guitar and piano. In the 2010 documentary Who is Harry Nilsson? (And Why Is Everybody Talkin' About Him), Nilsson recalled that when he could not remember lyrics or parts of the melodies to popular songs, he created his own, which led to writing original songs. He landed a job singing demos for songwriter Scott Turner in 1960, earning $5 per track. In 1963, John Marascalco financed some independent singles by Nilsson. One, "Baa Baa Blacksheep," was released under the pseudonym "Bo Pete" to some small local airplay. Another recording, "Donna, I Understand," convinced Mercury Records to offer Nilsson a contract, and release recordings by him under the name "Johnny Niles." In 1964, Harry wrote songs with Phil Spector. He also established a relationship with songwriter and publisher Perry Botkin, Jr., who began to find a market for Nilsson's songs. Nilsson's recording contract was picked up by Tower Records, which in 1966 released the first singles actually credited to him by name, as well as the debut album Spotlight on Nilsson. None of Nilsson's Tower releases drew much attention, but his songs were being recorded by Glen Campbell, Fred Astaire, The Shangri-Las, The Yardbirds, and others. Nilsson signed with RCA Victor in 1966 and released an album the following year, Pandemonium Shadow Show, which received positive reviews. Critics were impressed with his songwriting and multi-octave vocals. Beatles press officer Derek Taylor bought an entire box of copies of the album, which eventually ended up with the Beatles themselves, who quickly became Nilsson fans. 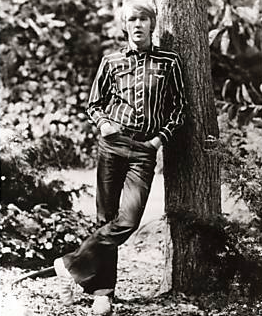 This may have been helped by the track "You Can't Do That," in which Nilsson covered one Beatles song but added 22 others in the multi-tracked background vocals. 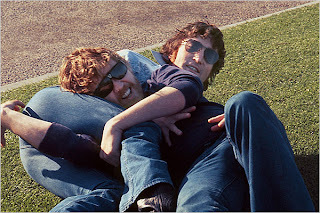 When John Lennon and Paul McCartney held a press conference in 1968 to announce the formation of Apple Corps, John was asked to name his favorite American artist. He replied, "Nilsson." Paul was then asked to name his favorite American group. He replied, "Nilsson." Pandemonium Shadow Show was followed in 1968 by Aerial Ballet, an album that included "Everybody's Talkin'." A minor U.S. hit at the time of release, the song would become extremely popular a year later when it was featured in the film Midnight Cowboy, and it would earn Nilsson his first Grammy Award. The song would also become Nilsson's first U.S. top 10 hit, reaching #6, and his first Canadian #1. 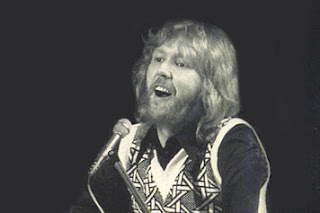 Aerial Ballet also contained Nilsson's version of his own composition, "One," which was later made it to the top 5 of the U.S. charts by Three Dog Night. Nilsson was also commissioned at this time to write and perform the theme song for the ABC television series The Courtship of Eddie's Father. The song, "Best Friend," was very popular, but Nilsson never released the song on record; an alternative version, "Girlfriend," did appear on the 1995 Personal Best anthology. Nilsson's 1969 album, Harry, was his first to hit the charts, and also provided a Top 40 single with "I Guess the Lord Must Be in New York City." The album also included, this time, a song by a then-little-known composer named Randy Newman, "Simon Smith and the Amazing Dancing Bear." 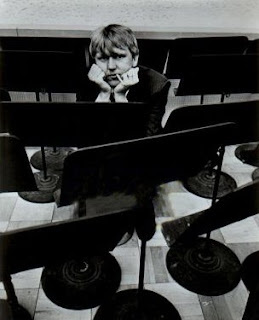 Nilsson was so impressed with Newman's talent that he devoted his entire next album to Newman compositions, with Newman himself playing piano behind Nilsson's multi-tracked vocals. 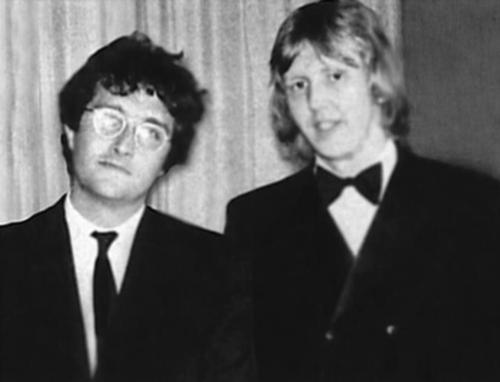 The result, Nilsson Sings Newman was commercially disappointing but was named Record of the Year by Stereo Review magazine and provided momentum to Newman's career. Later that year, Nilsson went to England with producer Richard Perry to record what became the most successful album of his career. Nilsson Schmilsson yielded three very stylistically different hit singles. The first was a cover of Badfinger's song "Without You," featuring a highly emotional arrangement and soaring vocals to match, a performance that was rewarded with Nilsson's second Grammy Award. The second single was "Coconut," a novelty calypso number featuring three characters (the narrator, the sister, and the doctor) all sung in different voices by Nilsson. The song is best remembered for its chorus lyric, "Put de lime in de coconut, and drink 'em both up." The third single, "Jump into the Fire," a drum solo by Derek and the Dominos' Jim Gordon and a "bass detuning" by Herbie Flowers. The song was famously used during the "Sunday, May 11, 1980," sequence in the 1990 film Goodfellas. When John Lennon moved to California, Nielson and he planned to co-produce Nilsson's next album. However, their time together in California became known much more for heavy drinking and drug use than music. In a widely publicized incident, they were ejected from the Troubadour nightclub in West Hollywood for drunken heckling of the Smothers Brothers. Nilsson suffered a massive heart attack in 1993. While recovering, he resumed recording, attempting to complete one final album. He finished the vocal tracks with producer Mark Hudson, who still retains the tapes of that session. 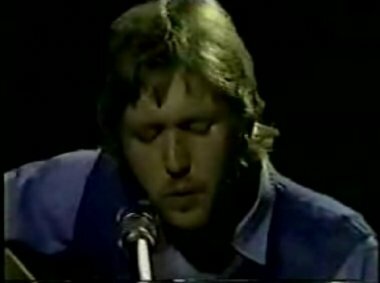 On January 15, 1994, Nilsson died of heart failure in his Agoura Hills, California home. In 1995, the 2-CD anthology he worked on with RCA, Personal Best, was released. ... he died on January 13, 2010. Born Theodore DeReese Pendergrass in Philadelphia, Pennsylvania, Pendergrass often sang at church, and planned to become a pastor. At 10, he was ordained a minister. He also took up drums during this time and sang with the Edison Mastersingers. He dropped out of school in the eleventh grade to enter the music business, recording his first song "Angel With Muddy Feet," which did not sell well. 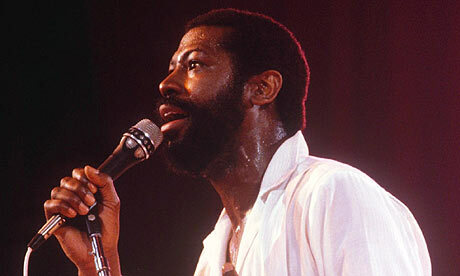 Pendergrass played drums for serveral local Philadelphia bands, eventually becoming the drummer of the The Cadillacs. In 1970, Teddy was spotted by the Blue Notes' founder, Harold Melvin, who convinced Pendergrass to play drums in the group. However, during a performance, Pendergrass began singing along, and Melvin, impressed by Pendergass's vocals, made him the lead singer. Up until then, the Blue Notes had struggled, but that soon changed when they landed a recording deal with Philadelphia International Records in 1971. 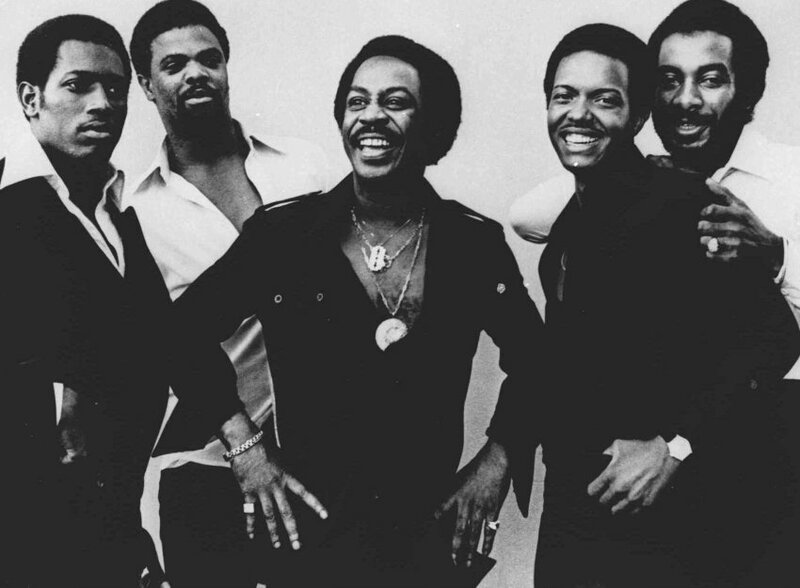 In 1972, Harold Melvin & the Blue Notes released their first single, a slow, solemn ballad titled "I Miss You." The song was originally written for The Dells but the group passed on the song. Since Pendergrass sounded like Dells lead singer Marvin Junior, the label decided to have Pendergrass, then only 21, sing the song in a raspy baritone that became his trademark. The became a major rhythm and blues hit and put the Blue Notes on the map. The group rode to fame with several more releases over the years including "The Love I Lost," a song which predated the upcoming disco music scene; the ballad "Hope That We Can Be Together Soon," "Wake Up Everybody" and "Bad Luck." One of the group's important singles was their original version of the Philly soul classic, "Don't Leave Me This Way." By 1975, Pendergrass and Harold Melvin were not getting along, mainly over monetary issues and personality conflicts. 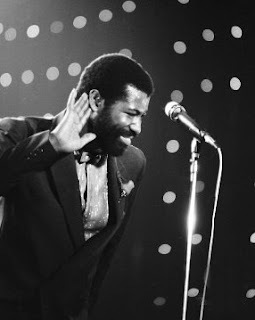 At one point, Pendergrass wanted the group to be renamed "Teddy Pendergrass and the Blue Notes" because fans kept mistaking him as Melvin. 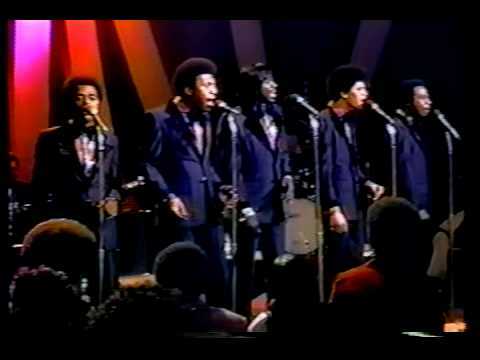 Pendergrass left the group in 1977 and the Blue Notes struggled with his replacements. By the early 1980s had disbanded for good. In 1977, Pendergrass released his self-titled album, which went platinum and included the disco hit, "I Don't Love You Anymore." Its follow-up single, "The Whole Town's Laughing At Me," became a top 20 R&B hit. The album was quickly followed by Life Is a Song Worth Singing, in 1978. That album included the singles "Only You" and "Close the Door." The disco single, "Get Up, Get Down, Get Funky, Get Loose" was popular in dance clubs. In 1979 he had two hit albums, Teddy and Live Coast to Coast. Hits off Teddy included "Come and Go With Me" and "Turn Off the Lights." His 1980 album, TP, included his signature song, "Love TKO" and the Ashford & Simpson composition, "Is It Still Good to You." Between 1977 and 1981, Pendergrass landed five consecutive platinum albums, which was a then-record setting number for a rhythm and blues artist. 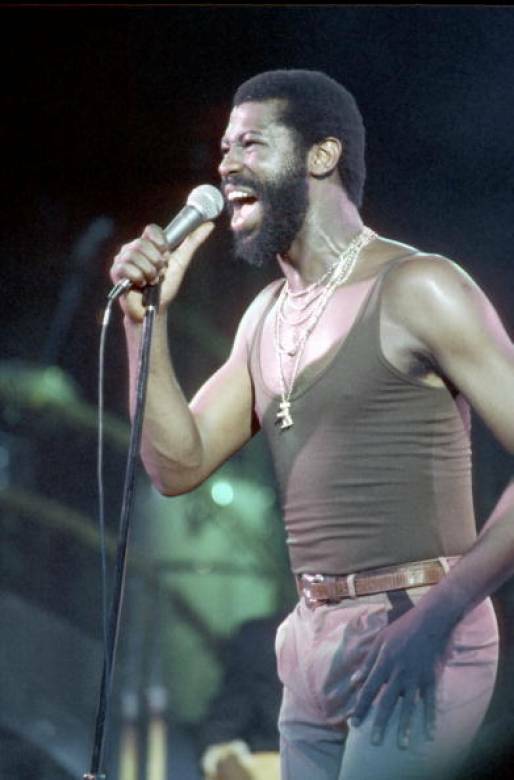 Pendergrass' popularity became huge by 1977. With sold-out audiences at his shows, Pendergrass' manager soon noticed that a huge number of his audience consisted mainly women. Pendergrass' next tour to have it with just female audiences only, starting a trend called "women's only concerts." 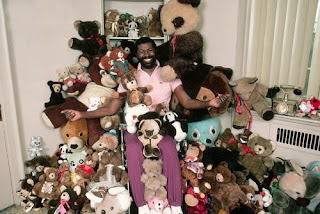 Pendergrass was soon being called "the black Elvis." By early 1982, Pendergrass was the leading R&B male artist of his day usurping competition including closest rivals Marvin Gaye and Barry White. On March 18, 1982, in the East Falls section of Philadelphia Pendergrass was involved in an automobile accident. The brakes failed on his 1981 Rolls-Royce Silver Spirit, causing the car to hit a guard rail, cross into the opposite traffic lane, and hit two trees. 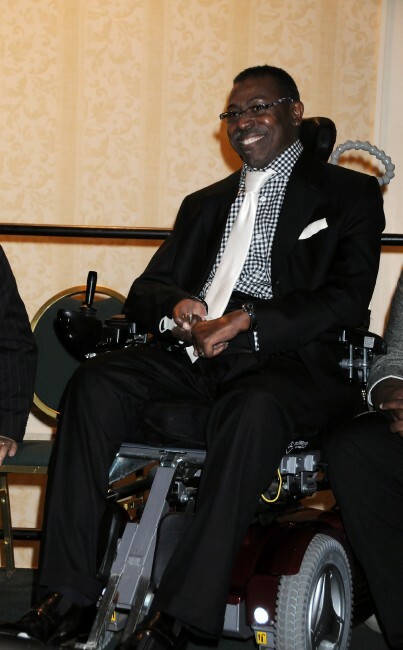 Pendergrass suffered a spinal cord injury, leaving him paralyzed from the waist down. In August 1982, his label released This One's for You, which failed to chart successfully, as did 1983's Heaven Only Knows. Both albums included material Pendergrass had recorded prior to his accident. 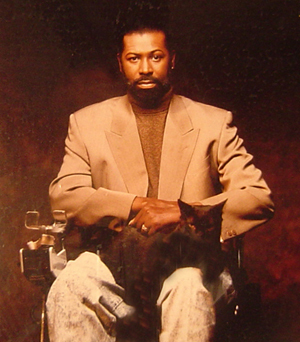 Pendergrass returned to the studio and released Love Language in 1984. The album included the pop ballad "Hold Me," featuring a then unknown Whitney Houston. On July 13, 1985, Pendergrass returned to the stage at the Live Aid concert in Philadelphia in front of a live audience of over 99,000 and 2 billion television viewers. It was the 35-year-old's first live performance following his 1982 accident. In 1988, Pendergrass scored his first R&B number-one hit in nearly a decade when the new jack swing-styled "Joy," off his album of the same name, was released. It was his final Hot 100 charted single, peaking at number 77. Pendergrass kept recording through the 1990s. One of the singer's final hits was the hip-hop leaning "Believe in Love," released in 1994. In 1996, he starred alongside Stephanie Mills in the touring production of the gospel musical Your Arms Too Short to Box with God. In 1998, Pendergrass released his autobiography entitled, Truly Blessed. On June 5, 2009, Pendergrass underwent successful surgery for colon cancer, but a few weeks later he returned to the hospital with respiratory issues. After seven months, he died of respiratory failure on January 13, 2010. He was 59 years-old. ... he was 72 when he died from lung and brain cancer. Born on the South Side of Chicago and raised by his grandmother, Louis Allen "Lou" Rawls was a soul, jazz, and blues singer. released more than 70 albums, sold more than 40 million records, appeared as an actor in motion pictures and on television, and voiced-over many cartoons. He was known for his smooth vocal style: Frank Sinatra once said that Rawls had "the classiest singing and silkiest chops in the singing game." He began singing in the Greater Mount Olive Baptist Church choir at the age of seven and later sang with local groups through which he met future music stars Sam Cooke and Curtis Mayfield. After graduating from Dunbar Vocational Career Academy, he sang briefly with Cooke in the Teenage Kings of Harmony, a local gospel group, and then with the Holy Wonders. In 1951, Rawls replaced Cooke in the Highway QC's after Cooke departed to join The Soul Stirrers in Los Angeles. Rawls was soon recruited by the Chosen Gospel Singers and himself moved to Los Angeles, where he subsequently joined the Pilgrim Travelers. After a stint the U.S. Army as a paratrooper,in 1958, while touring the South with the Travelers and Sam Cooke, Rawls was in a serious car crash. Rawls was pronounced dead before arriving at the hospital, where he stayed in a coma for five and a half days. It took him months to regain his memory, and a year to fully recuperate. Rawls considered the event to be life-changing. He was signed to Capitol Records in 1962, the same year he sang the soulful background vocals on the Sam Cooke recording of "Bring it on Home to Me" and "That's Where it's At," both written by Cooke. 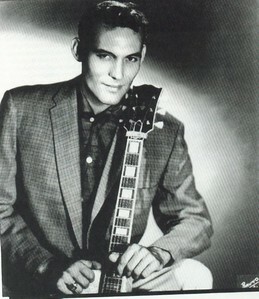 Rawls himself charted with a cover of "Bring it on Home to Me" in 1970. Though his 1966 album Live! went gold, Rawls would not have a star-making hit until he made a proper soul album, appropriately named Soulin', later that same year. The album contained his first R&B #1 single, "Love Is a Hurtin' Thing." 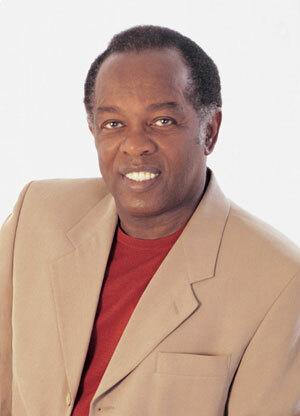 In 1967 Rawls won his first Grammy Award for Best R&B Vocal Performance, for the single "Dead End Street."